The Harmonia Oak Side Table is 100% British made and manufactured in the heart of England. Using high quality materials, such as MDF Veneer wood. Carefully created by skilful craftsmen this contemporary side table would create a unique touch in any home space. This elegant side table combines beautiful design with eye catching colour, resulting in a timeless, classic design referencing The Mid-20th Century Scandinavian style. Complete with five draws. Whether you choose oak or walnut this modernistic unit will prove to be the talking point in any home. If you require other colors or sizes then give us a call or send us an email and we can customise the colour/size of the unit to suit its required decor. This signiture cabinet arrives fully assembled. Easy and hassle free. 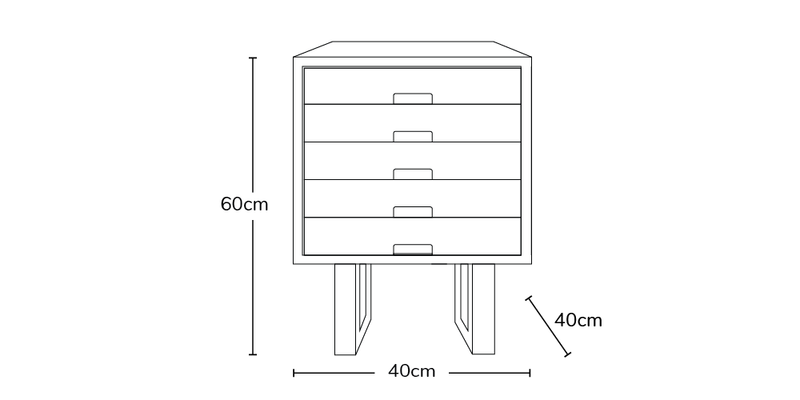 We handcraft our cabinets which means you can alter the size, colour or storage. Call us or email us to see your perfect piece come to life. Check out our inspiring ad for our wonderful cabinet range, all handcrafted here in Britain. Designed for style and built with care by our highly skilled team.